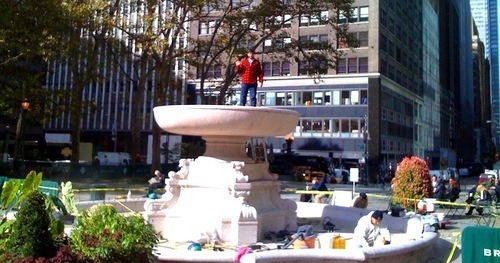 Recent visitors to Bryant Park may have noticed workmen in and around one of the park’s most beautiful monuments, the Josephine Shaw Lowell Memorial Fountain. The fountain, located on the 6th Avenue side of the park, near the 41st Street entrance, is currently being cleaned and weather-proofed under the supervision of Bryant Park Corporation’s Capital Projects team. The work should be completed by November 6. 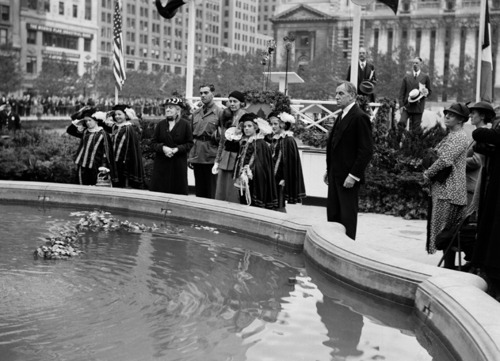 Designed by Charles A. Platt, the fountain is said to be New York City’s first public memorial dedicated to a woman. It was named for Josephine Shaw Lowell (1843 - 1905), a 19th century American social reform leader and philanthropist. Another lesser-known fact about the Lowell Fountain is that it was once located on the East side of Bryant Park behind the New York Public Library, as per the original design by architect Thomas Hastings. The park was redesigned in 1934, based on a plan by architect Lusby Simpson, and implemented by the parks commissioner at the time, Robert Moses. 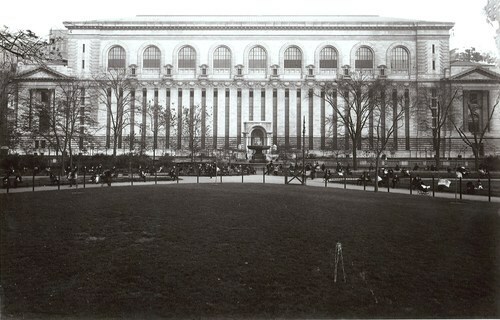 Simpson relocated the fountain from east to west, creating a grander entrance off 6th Avenue to what we now refer to as the “Fountain Terrace”. 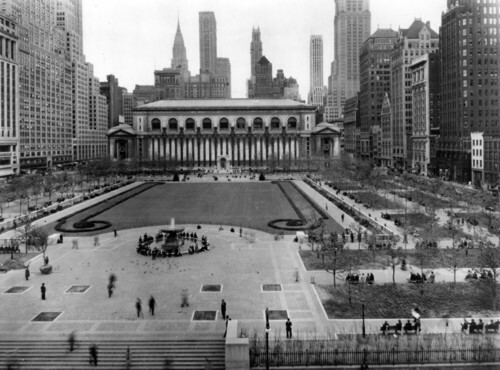 You can learn more about the history and monuments of the park at bryantpark.org. It is heartening to see that the Bryant Park's beautiful monument the Josephine Shaw Lowell Memorial Fountain is renovated and preserved for the next generation to imply its importance. Hats off to the Bryant park's corporation.